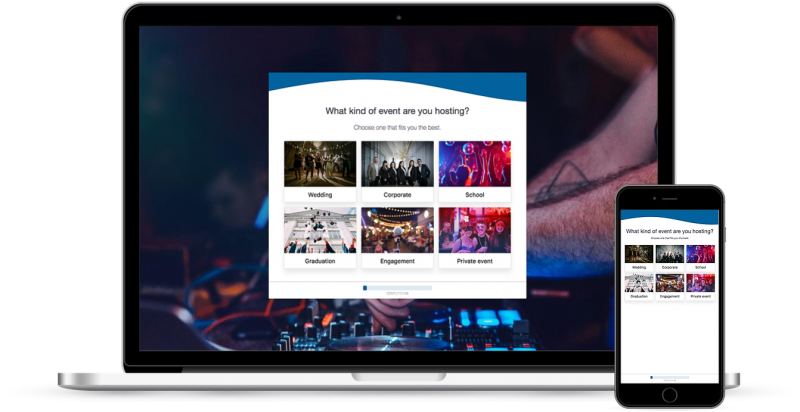 We have talked with multiple DJ's and have built a software that really helps DJ's manage their time, availability and bookings. If you want that professional as a DJ, Serviceform is the way to go. Simply place on your website and you are good. Whatever type of DJ you are; Wedding DJ, Artist DJ, Club DJ we have the form for you. Serviceform helps DJ's around the world. We have DJ's as customers in US, UK, Australia and New Zealand. These comments are from real customers. Instead of using another software for selling and managing events, you can do it all in one service. Place Serviceform on your website, and start taking payments and bookings for your DJ business immediately. Save your time by taking bookings and payments online for your DJ gigs. Alternatively you can generate offers and invoices and get your customers to pay later.